Newsflash: I do indeed make recipes which do not involve a slow cooker. This is one of them. 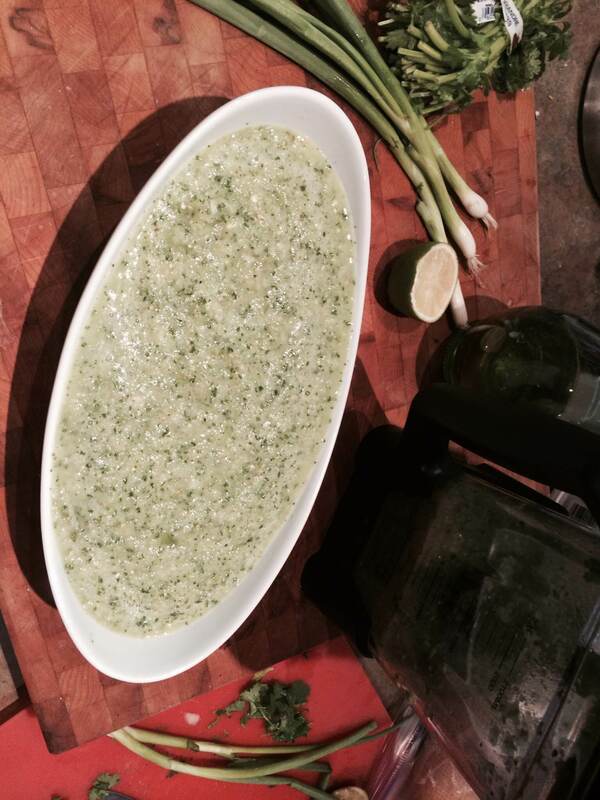 I love my green salsa recipe and you will too. Or scroll down to the bottom for a red salsa recipe which doesn’t taste “dumbed down” but is so full of shortcuts it’s embarrassing. One nifty trick I learned from the Food Network is that you can turn your salsa into enchilada sauce by sautéeing it with a little flour (I’m simplifying–if you take that literally as the one step to make enchilada sauce, you will be a very dissatisfied, hungry person in the end). But with that knowledge there are more ways to use this recipe–which is why I make a triple batch most of the time, because if I’m going through the trouble to roast vegetables and get the heavy blender down off the top shelf then I want to make it worth everyone’s while. 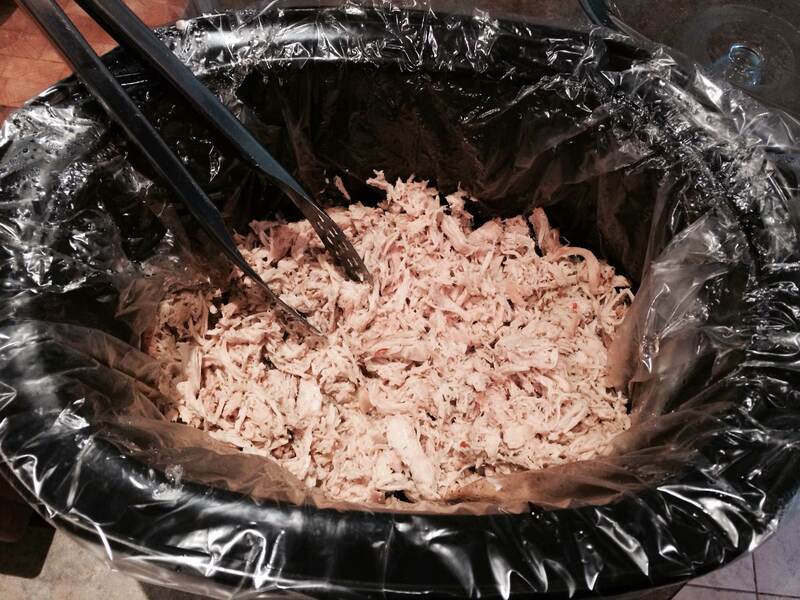 I’ve separated the ingredient lists into those for “roasting” and those “used raw”. Partly because that’s how I remember what to buy at the supermarket without a written list and partly because I don’t have a single photo with all ingredients. Saturated with olive oil, salt the silent killer, and freshly ground black pepper. Let’s do this. 1jalapeno pepper, to taste. Or three. I used three. 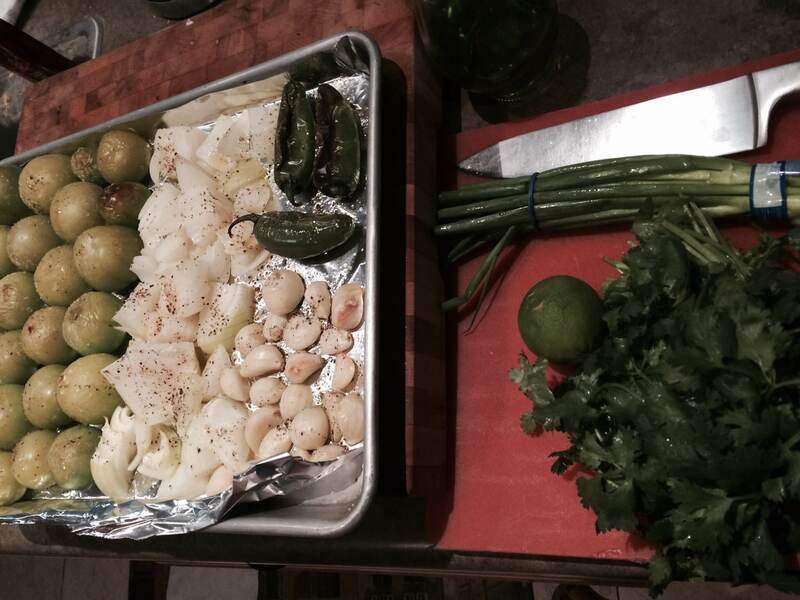 Organize ingredients on baking pan. Drizzle with olive oil. Sprinkle with salt the silent killer and black pepper. Broil at 500° for 6 minutes. Keep watching, it could take one or two more minutes before things start browning. Then remove from oven. In a blender*, layer roasted tomatillos, onion, garlic, jalapeno, cilantro, green onion & lime juice. 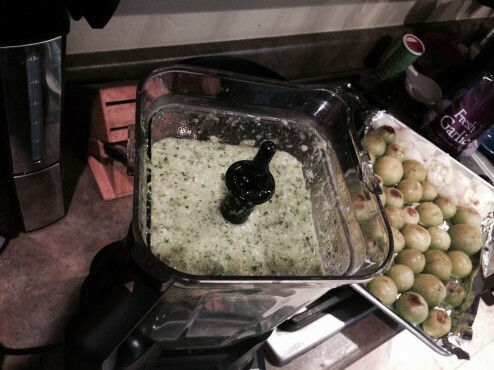 Set blender to pulse, being mindful that a chunky salsa is sometimes preferable to a completely smooth, pureed salsa. It may require more than one batch in your blender–try to divide the ingredients so that a little of everything is in each batch, and then combine the mixtures. 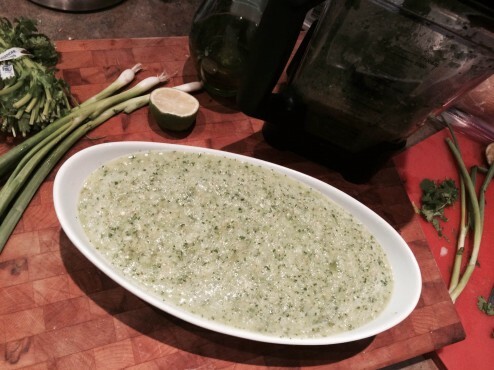 *I used the Ninja Ultimate Blender for this recipe. 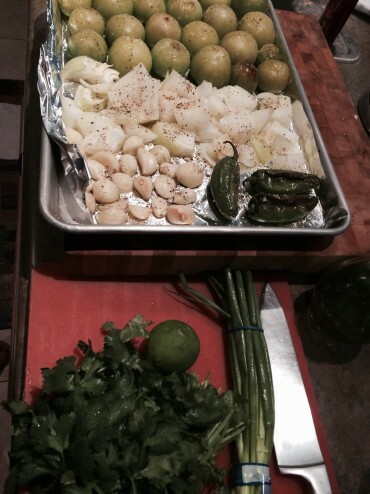 I included the top blade, which is what powers through chunky ingredients like the tomatillos. This meant that my mixture spent less time at the bottom of the pitcher getting pureed and resulted in a slightly chunky salsa–which is ideal. I will never use a regular blender again for this recipe. If you’re a tomatillo novice: you’ll find them in the produce section, usually around the jalapeno and bell peppers, although tomatillos are not spicy. They look like small green tomatoes covered in a papery thin, green husk. They’ll roast more evenly if they’re all the same size. 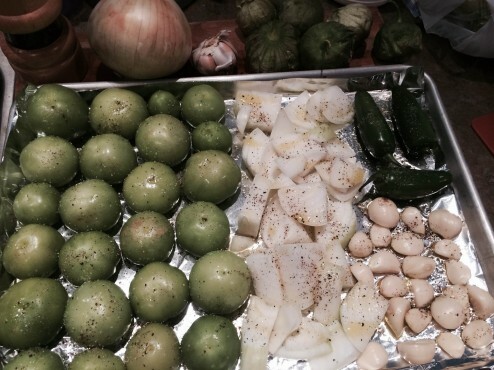 Also, be aware that sometimes there can be dirt on tomatillos which can be rinsed off, but if a tomatillo has black specks which require scraping off, that’s mold. And mold is no good. 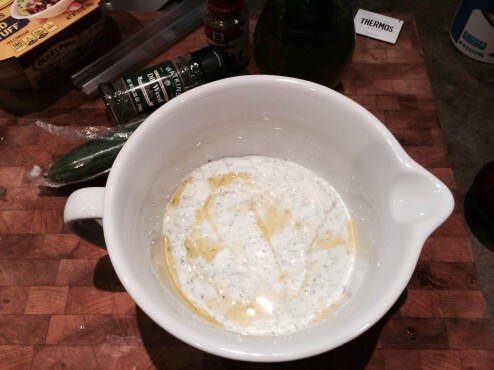 The recipe calls for a jalapeno, but you could use any pepper. If I’m making salsa just for me, I use habanero or ghost peppers. You could use a serrano, too. I suggest starting with a jalapeno and see what you think. Before juicing your lime, nuke it in the microwave for fifteen seconds. It loosens up the juices inside. Thanks for the tip, Rachael Ray. 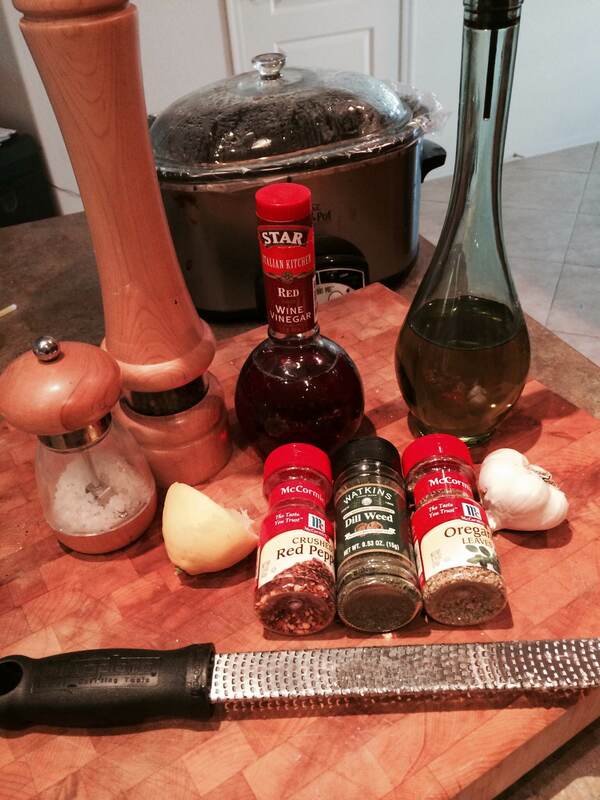 If you have a Ninja Kitchen blender, use it for this recipe. I’ve made this recipe for years using my regular blender (food processor works, too) and it does the job, but this recipe is just made for that dual blade on the Ninja. So efficient. It works like a dream. 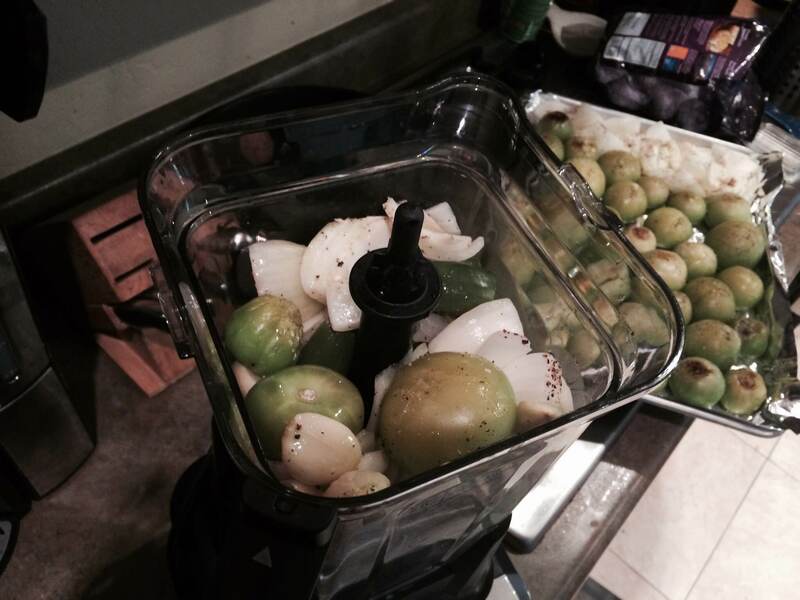 I love tomatillo salsa. 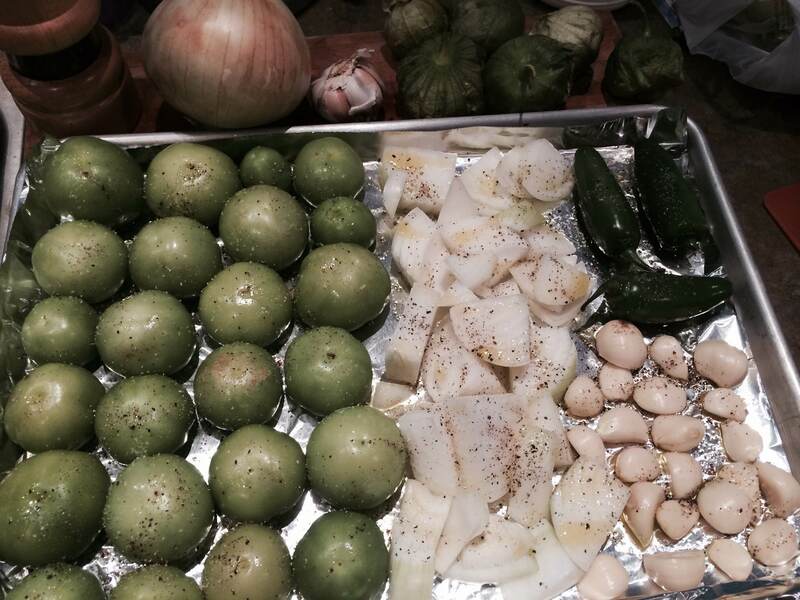 The tartness of tomatillos is so appealing, and I love experimenting with different spicy peppers. If this all sounds fine and good to you but you just don’t have the time or inclination, I give you permission to forgo this recipe and try out my go-to recipe for red salsa which is laughably easy but still tastes like it’s homemade. You don’t get pictures of this one. It’s too easy. Put all ingredients into your blender on pulse until you’re satisfied with the consistency. Add salt and black pepper to taste. You’re welcome. They did all of the hard work for you. 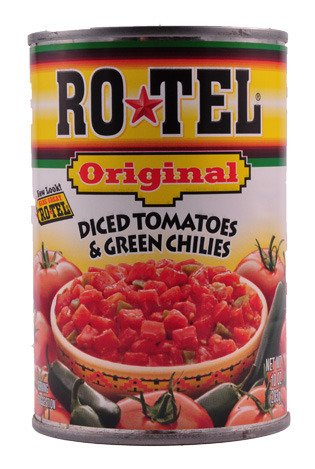 Link to your favorite salsa recipe in the comments, or if you have a favorite brand of salsa that you don’t just tolerate but you love, share that too! Cassandra can be found on Twitter @aclevergirl. Learn more about her family’s unique challenges and why they have hope for a cure for Spinal Muscular Atrophy at byrdsforacure.org. 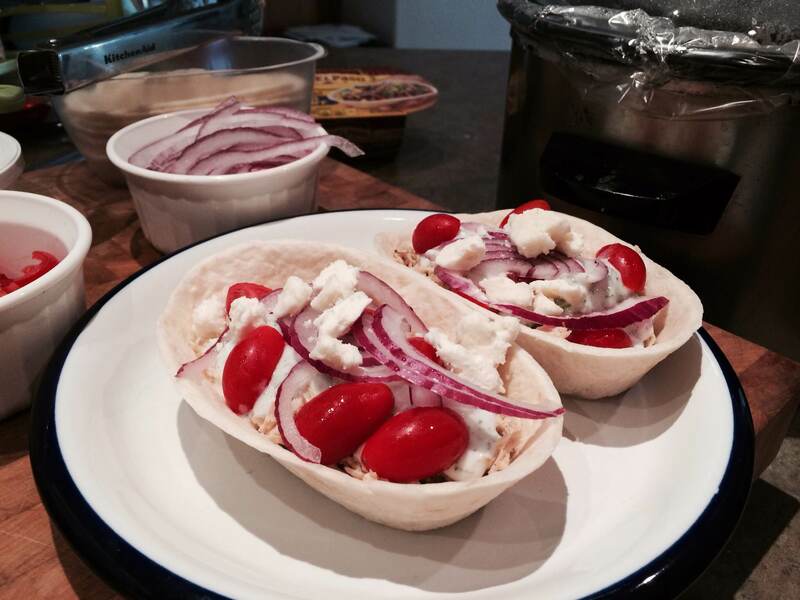 Earlier this month I found something new and tasty-sounding try on BettyCrocker.com: Slow Cooker Chicken Gyro bowls. Greek food (“Greek food”, as I assume Greek cooks would be offended if I thought this was true Greek food–it’s tasty, though) at home which doesn’t involve something complicated like buying lamb, or owning a vertical rotisserie attached to a broiler–imagine! Recognize that micro-plane? 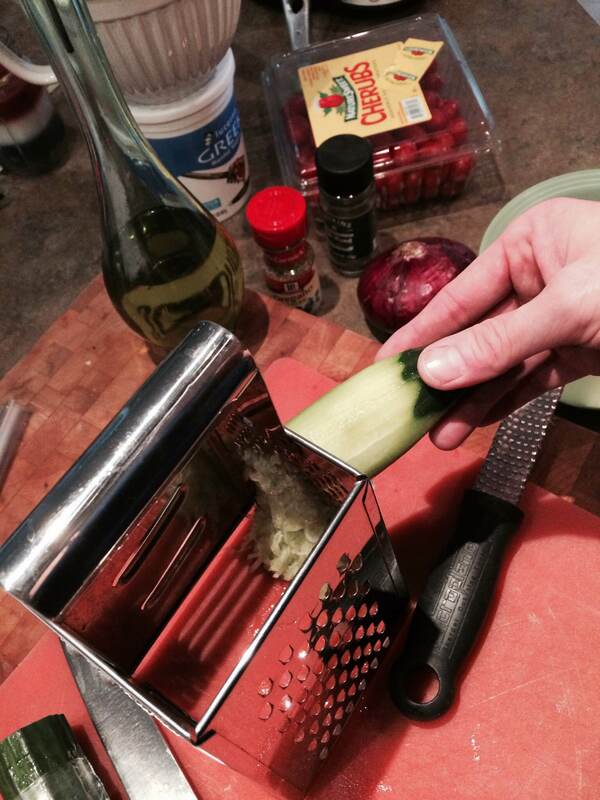 I used it to grate garlic cloves this time, but I sold you on this tool way back when. Yeah, it doesn’t look pretty. Trust the process. Put everything in your slow cooker. Don’t forget your Crock Pot Condom. Six hours on low, or four hours on high. Something like that. Upon completion of cooking, use metal tongs to shred and stir. Throw in some extra red wine vinegar if it looks dry. Mine did, so I did. You can find the Stand N Stuff flour tortilla bowls in the Hispanic foods section at your grocer. Pro-tip: After peeling the cucumber use short strokes with it on your grater, instead of dicing by hand. Combine all ingredients except olive oil. Drizzle 1 tablespoon olive oil over the top. Prepare sliced red onion, halved grape tomatoes, and feta crumbles to top off gyros. 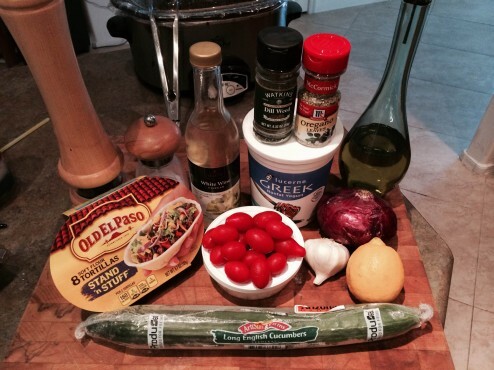 Fill tortilla bowls with chicken, add a few tablespoons of Tzatziki sauce and condiments. » I definitely suggest to avoid low-fat feta cheese crumbles–with the fat goes the flavor, and then the calories which remain are totally worthless because there’s no taste anymore. » The Tzaziki recipe calls for just a teaspoon each of dill & oregano but I didn’t find that to be nearly enough. I probably put a tablespoon of each in my recipe before it finally tasted right. This dish is a tasty one, plus fun for each family member to assemble for him- or herself. Hi-Ho, Hi-Ho, It’s Off to Summer Camp We Go! What summer camp in Arizona would look like if we didn’t have fire restrictions. Only YOU can prevent forest fires! Last week I drove my oldest two hours north, up to summer camp in the cool mountains. I reminisced during the drive–this is the same camp where I spent many of my childhood summers, too, and I have such fond memories of those experiences. This highway, it used to be just one lane in each direction, and now it’s sometimes six lanes across. That McDonald’s, that used to be the one and only place to grab a quick lunch en route to camp–now there are dozens of options, including ethnic food and even sushi. Sushi! (I wonder rural sushi in the remote Arizona mountains is anything at all like what us city folk are accustomed to?) In the end we played it safe this year, interrupting tradition only for the shiny new In-N-Out. I remember my parents having to drive me through a long, winding dirt road up the mountains, through the pine trees, past scenic lookouts before we arrived at camp. But the small town we used to pass through in the blink of an eye has grown so much and expanded outward so far the “long, winding dirt road” is now mostly paved. The forest still looks the same. The pine trees still smell the same. Those same familiar summer storm clouds creep in every afternoon like clockwork. 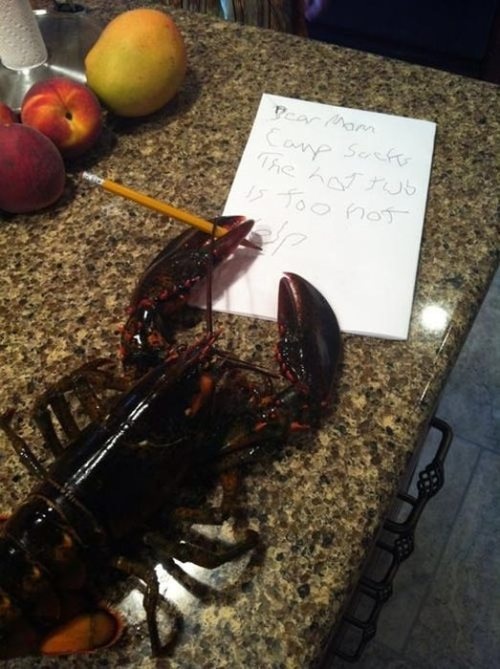 The camp counselors got younger, though, didn’t they? 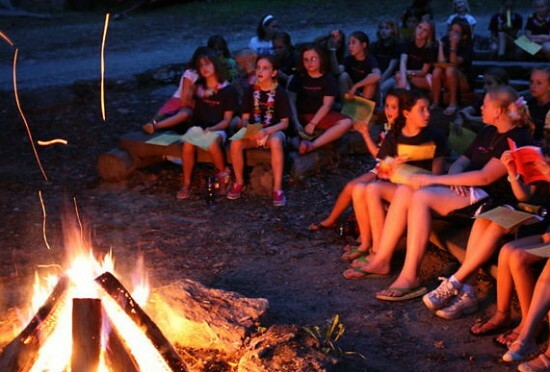 When I was a camper the counselors must have been twenty or thirty or years old, right? Now the counselors look like all of fifteen years old. How strange. Check-in took all of five minutes, and then my kid takes off running to her cabin-mates just as I held my arms out for a good-bye hug. But that’s okay–she’s excited and has been counting down to camp for months. I totally get it. I hop in the car for that nostalgic drive home on that modern highway which looks nothing like the path I traveled as a kid. At pick-up I was emotionally ready for her to be hiding in a closet, begging to stay another week. What I got instead was a dusty, dirty, smiling kid thrilled to see me and anxious to come home. Aww. I think I’ll keep her a while longer. If I could go back in time… I’d go back to when I was 17 years old. When I think back on my life… that was the time I felt the most free. The world was my oyster! Much like now, I accepted adventure with open arms and I was fearless! At 17, these adventures needed funding. I had been working since I was 15, but I needed to step it up. I needed pocket cash. Enter Denny’s. The Denny’s was a symbol of my high school years. It was the place to hang out after football games and dances. It was where I first heard of a “dine and dash”. (Although I never had the guts to ever do that!) It was where I drank endless pots of coffee late into the night- giggling over Moons Over My Hammy and chowing on hash browns. I’d work there. It would be epic. Summertime. I took on the coffee counter in the smoking section. I hated working the smoking section, but at least I could breathe a little easier at the coffee counter. I did well there. Friendly and quick to smile, I started acquiring regular customers. Mostly, older men. Truckers that were reminded of their granddaughter back home. And there were guys from the motorcycle repair school. Handsome guys. And there was one in particular. Let’s call him, Ethan. Ethan sat down at my coffee counter one morning and I thought I was looking Val Kilmer square in the face. You know, 1986 Val Kilmer. Before he aged and all. Iceman, himself, was sitting at my coffee counter. Be cool, Kelly. Be cool. It was like magic. Our own little Denny’s coffee counter magic. Conversation was easy and smiles were plentiful. And oh… that accent! Australia. He could put another shrimp on my barbie any day! Ethan came in everyday and asked me out everyday. But he was 20 and my parents knew better. Despite constantly turning him down… Ethan still came to see me at work, bringing me flowers and leaving me sweet notes. I think he enjoyed the chase. Don’t all boys? And then… one day… he told me he was leaving. He was done with school and was moving back home. Apparently, our motorcycle school is very prestigious. And. That was it. I’ve never really forgotten about Ethan. It was an exciting time in my life. 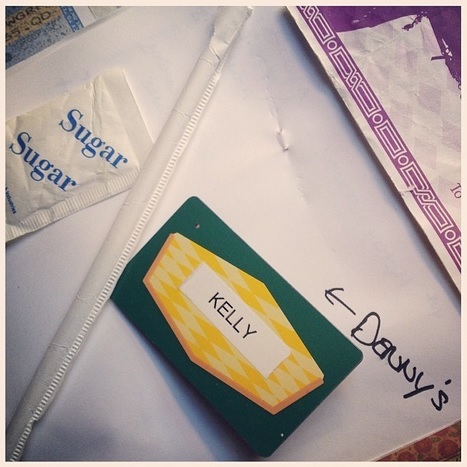 And every time we eat at Denny’s… I look at the coffee counter and I reminisce. Why did I tell you all of this? Because I’ve been chosen to be a Denny’s Blog Ambassador! Denny’s holds such a special place in my heart, despite being left pocket change as a tip after all the football games. If you haven’t heard… Denny’s is revamping their menus, even the kids menus. I’m really excited by this, because, as you know, my Allison has Type 1 Diabetes. Eating out isn’t always easy, but a fun and healthier kids menu helps us out tremendously! I can’t wait to share with you what I’ve learned over the next 6 months as a Denny’s Ambassador. We’ve got some amazing content planned… from recipes to fun and games to a possible casual, local meet up at my old stomping grounds! I would love to hear a story from your first job… Share one with me? Please?